Dr. Payne brings experienced training to treat people in need of specialized craniomaxillofacial reconstructive surgery and plastic surgery. Our emphasis is on treating each individual and family with quality personal care. We are focused on your comfort and guiding you through the process to achieve the best possible outcome. After a thorough consultation with our surgeon, you will be given the best treatment plan. We work with the best specialists to assist in treating your craniofacial needs. Call to schedule an appointment today! When it comes to achieving the desired result, craniofacial plastic surgery requires an elite team of physicians from across a broad spectrum of medical and dental fields. We bring together some of the most experienced and extensively trained healthcare professionals available. In addition to their skill, they are all dedicated to a patient-first approach, providing attentive and considerate treatment from the first appointment to the last. While in our care, we want you to feel as comfortable and as confident in our hands as possible. With these goals in mind, we have provided a wealth of information on our website with the hope of helping patients become knowledgeable about their concerns. Birth defects and congenital conditions often can become emotionally difficult, especially so soon after having a newborn baby. We feel it is part of our responsibility to support you and make you feel heard throughout the treatment process. Should you need additional guidance or aid, we can assist you in finding more resources. Dr. Eric Payne and our entire medical team are committed to your well-being from start to finish. 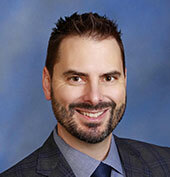 A Texas native, Dr. Eric Payne is the founder and director of The Craniofacial Plastic Surgery Center of Houston. Board certified in plastic surgery and fellowship-trained in craniofacial reconstructive surgery, he has the skill and experience necessary to perform a wide array of leading techniques with precision and compassion. His devotion to patient care is matched by his commitment to continuing education, and with every individual he strives to achieve excellence at every level.